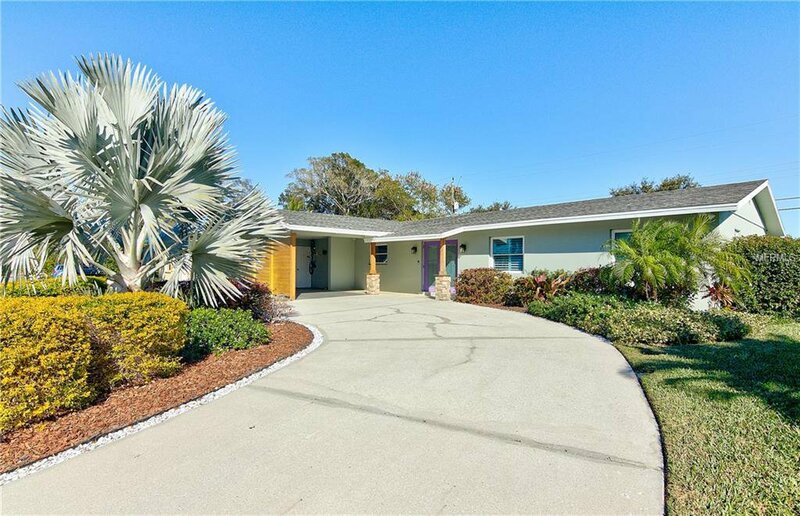 Located in the sought-after neighborhood of Gulf Gate, this one of a kind, contemporary home was COMPLETELY REMODELED, and reconfigured with an open floor plan in 2015. Rooms have been expanded and the laundry room relocated indoors. New in 2015 ROOF, paint, sod and irrigation, electrical panel, plumbing, pool pump, pool cartridge, HVAC and duct work. The master suite has plush carpeting, a California closet, and an extended master bath with dual sink vanities and large walk in shower. The second bath has dual sink vanities and a tub/shower combination. All social areas have attractive plank tile flooring and the doors have been replaced throughout. Windows are insulated and energy saving, framed with moldings and covered with Plantation shutters providing a quiet haven. Show off your culinary talents in the relocated gourmet kitchen with stunning quartz counter tops, glass tile backsplash, stainless steel appliances, and high gloss Ringhold cabinets with soft close drawers. The Florida room is an expansion of the living area, leading to a large covered and screened lanai. The freeform pool is surrounded by a large concrete patio. Escape to the fully fenced backyard with a custom firepit. A cedar wrapped carport has adjacent space for beach toys, bikes and tools. Conveniently located nearby schools, eclectic boutiques and popular dining establishments; close to the beautiful beaches and Siesta Key. The hot springs spa does not convey, seller will sell separate. Blueprint of scope of work is available. Listing courtesy of KELLER WILLIAMS REALTY SELECT. Selling Office: O'STEEN GROUP INC.